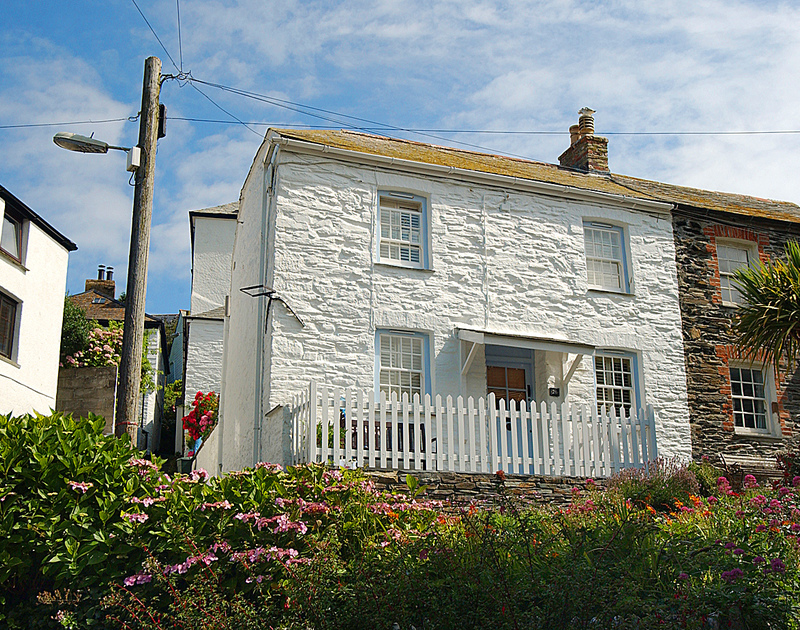 Nestled in the heart of historic Port Isaac, Homelands is a charming self-catering fisherman's cottage, sleeping four guests. With 2 bedrooms and 2 bathrooms, it is the perfect size for a small family or for a relaxing break with friends. Pretty and light, Homelands has been finished to a high standard; with a modern well laid out kitchen, comfortable living room with beamed ceilings, along with two delightful bedrooms. This elevated south facing cottage also has a small sunny patio at the front of the property, Wi-Fi and an allocated garage space for one car at the top of the village (Please ask us if you want to chat about this before booking). 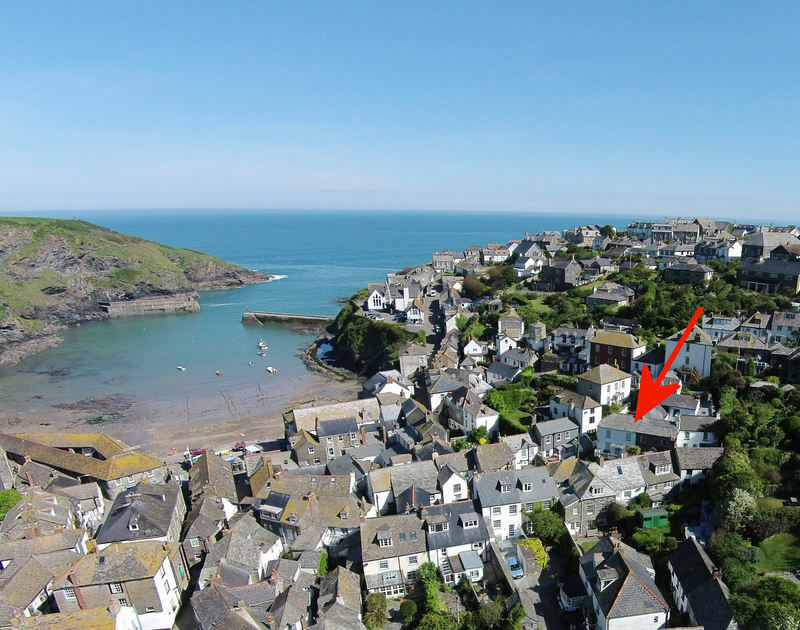 Doc Martin fans might be interested to learn that the property has been featured in the popular TV series as the home of Martin Clunes' on-screen Aunt Ruth, in the fictional village of 'Port Wenn'. A stone's throw from the harbour, Homelands is an ideal location from which to explore the nearby coastal paths, as well as the many shops, galleries, pubs, cafes and eateries of this vibrant fishing village, including Michelin starred chef Nathan Outlaw's two restaurants. Bedroom 1: Double bed with en suite bath/shower/W.C. No Pets. No Smoking. Please note that the garage door is 7' high and 7'9" wide. Linen and towels provided.